The genus Chlamydomonas has developed some very ingenious adaptations to ensure its survival. One such technique Chlamydomonas possesses is phototaxis the ability to essentially sniff out light. 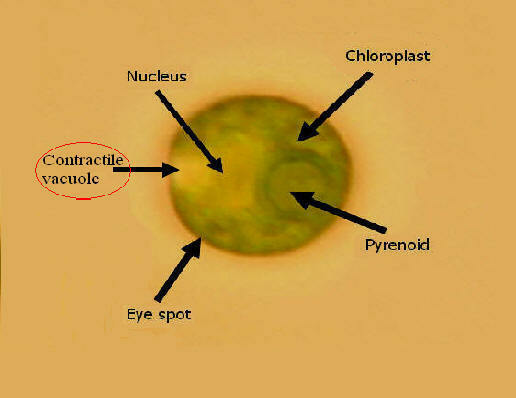 The cells are able to do this through the development of an eyespot which is always located above the chloroplast in the same spot with relation to the flagella. A cell is referred to as positively phototactic if it is traveling towards light and negatively phototactic if traveling away from a light source. 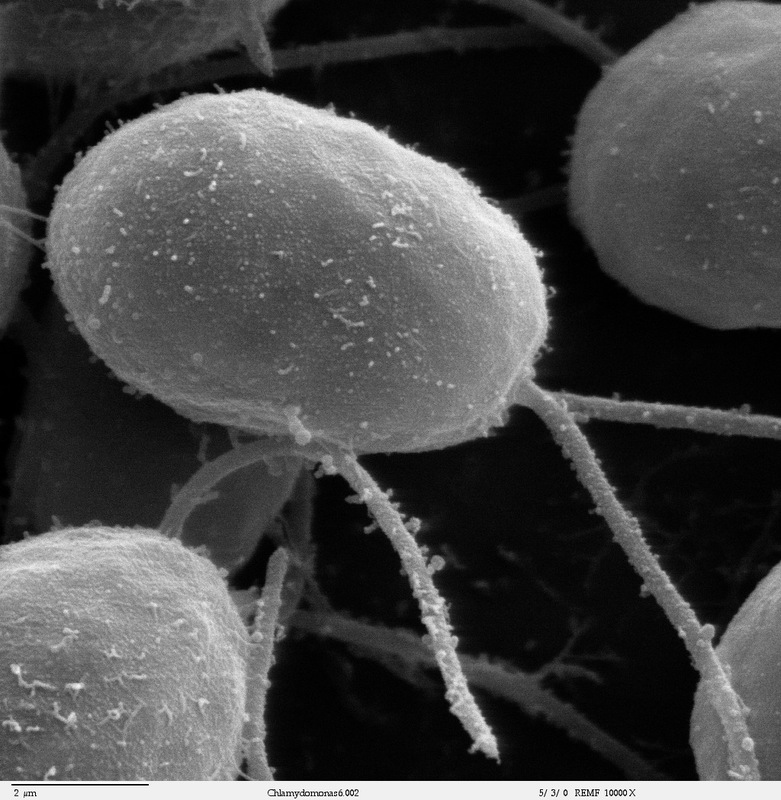 Another light related adaptation Chlamydomonas has developed is the ability to activate a protective process known as photoshock. The main purpose of photo shock is to protect the cells DNA from being damaged due to high levels of ultraviolet radiation. When the eyespot detects to intense a light the cell quickly changes its direction by altering the way it swims. 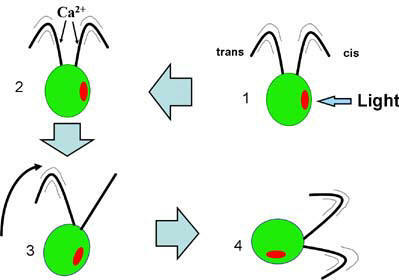 During normal motility a Chlamydomonas cell swims with a breast stroke like motion but after photoshock is initiated, as you can see above, the cell switches from a normal breast stroke motion to movement more like that of a sperm and propels itself in the reverse direction effectively keeping its DNA unchanged. Another adaptation that Chlamydomonas has which is very important to the survival of the cell two contractile vacuoles. They are essential chambers which allows for the cell to take up or expel excess water. This process of changing the concentration of water inside the cell is referred to as osmoregulation. Through osmoregulation the cell can control the concentration of solute and water within the cell which is very important in maintaining homeostasis when the surrounding environment of the cell changes.